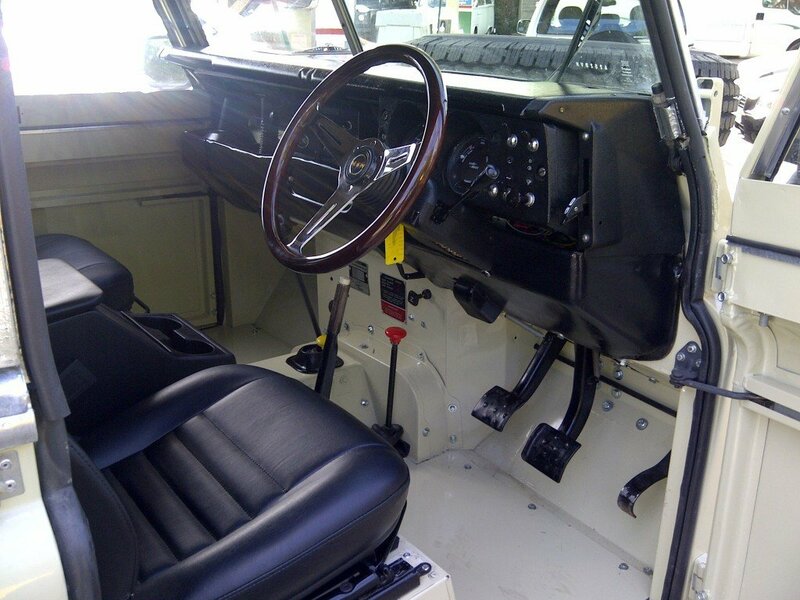 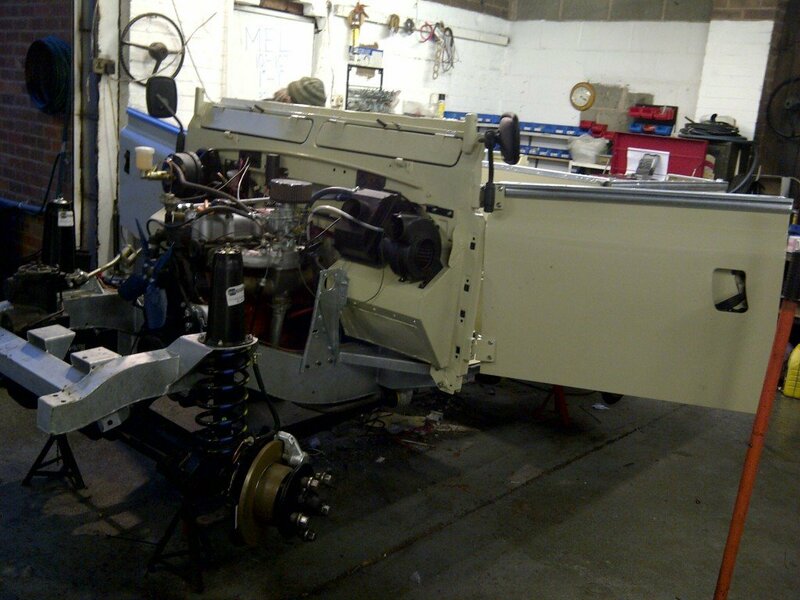 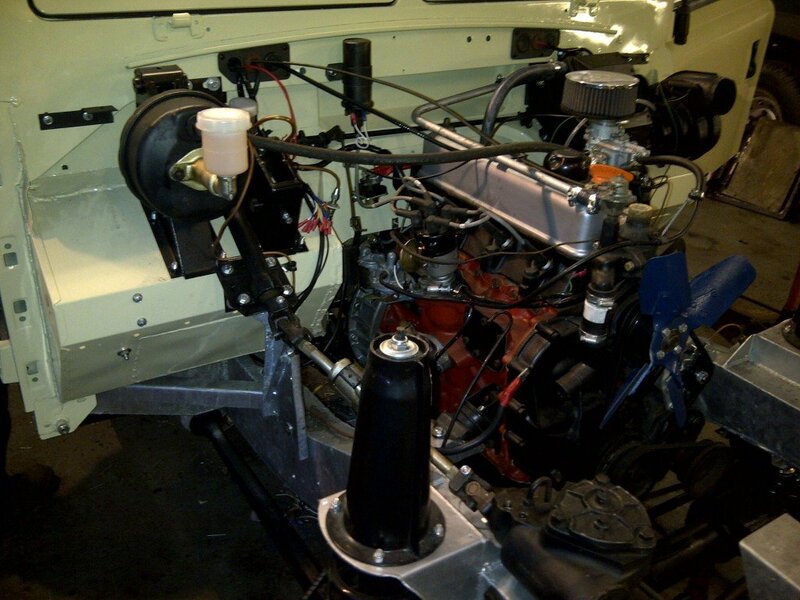 This is the restoration of a 1982 Land Rover Series 3 SWB 2.25 petrol. 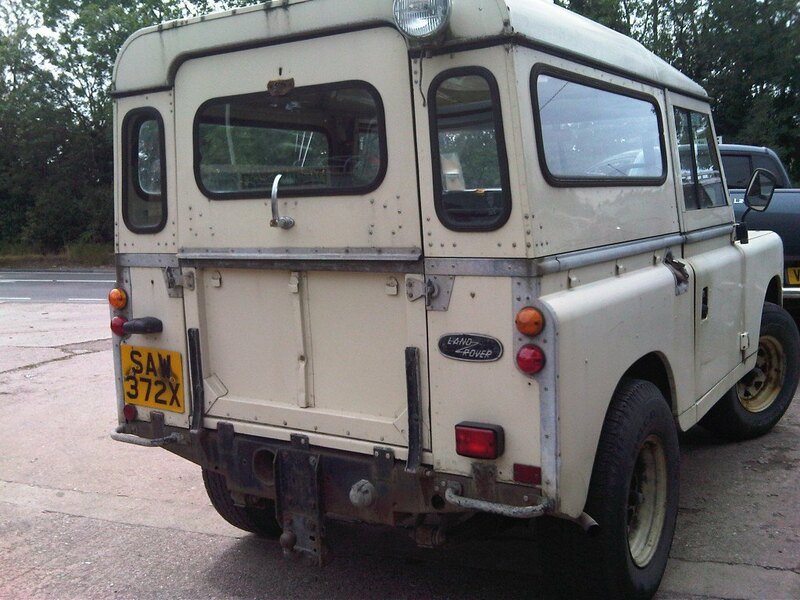 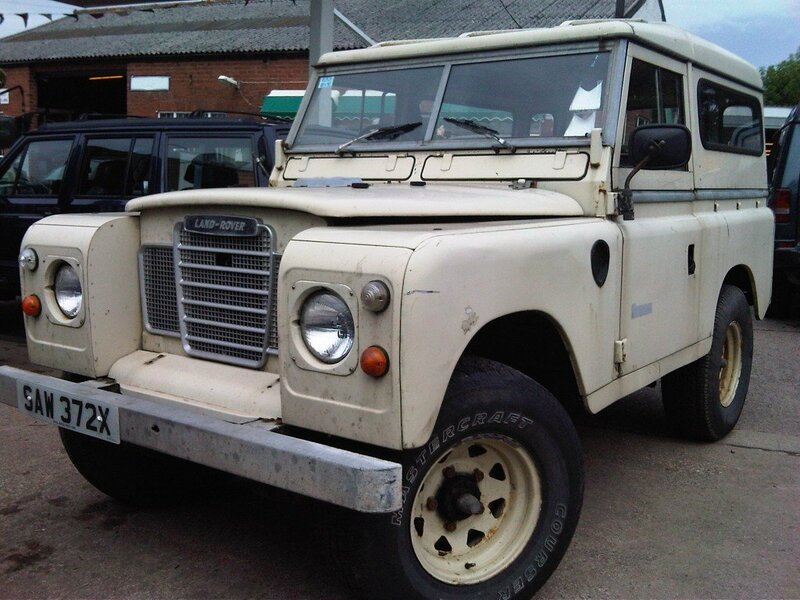 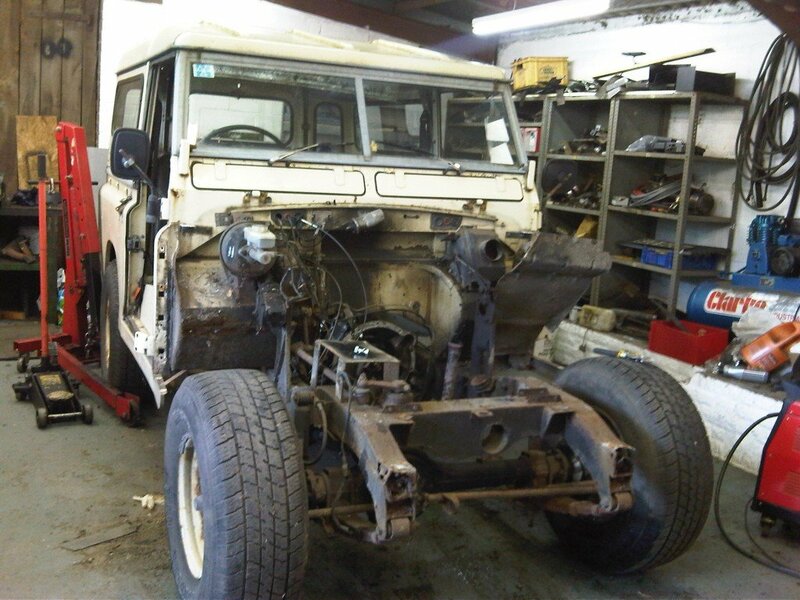 Pictures below show the Land Rover before, during and after the restoration. 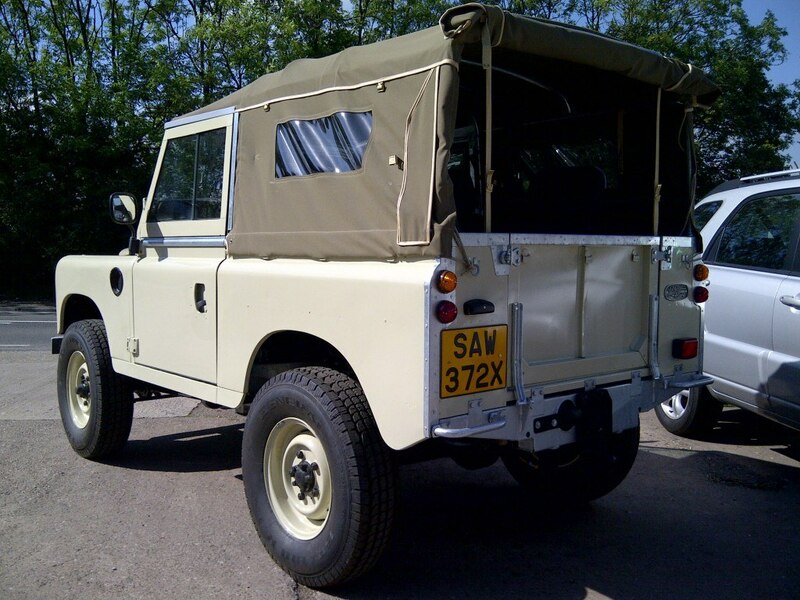 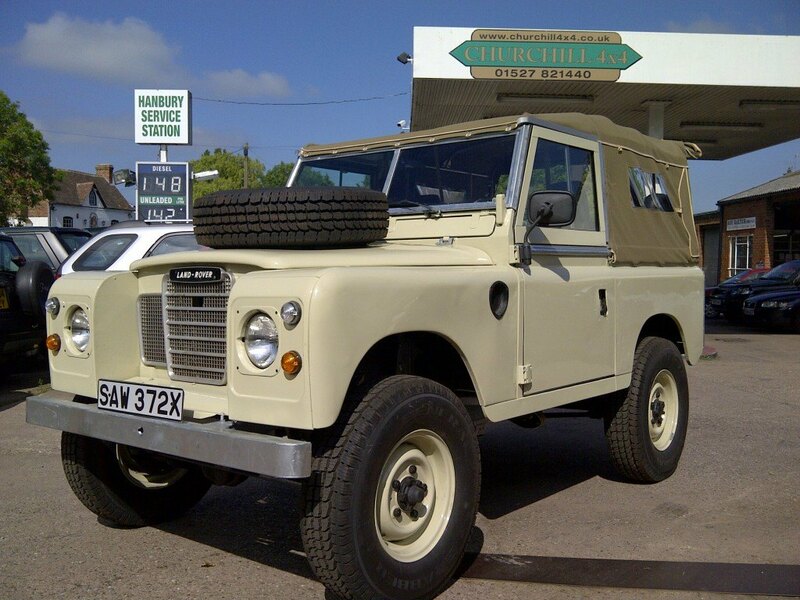 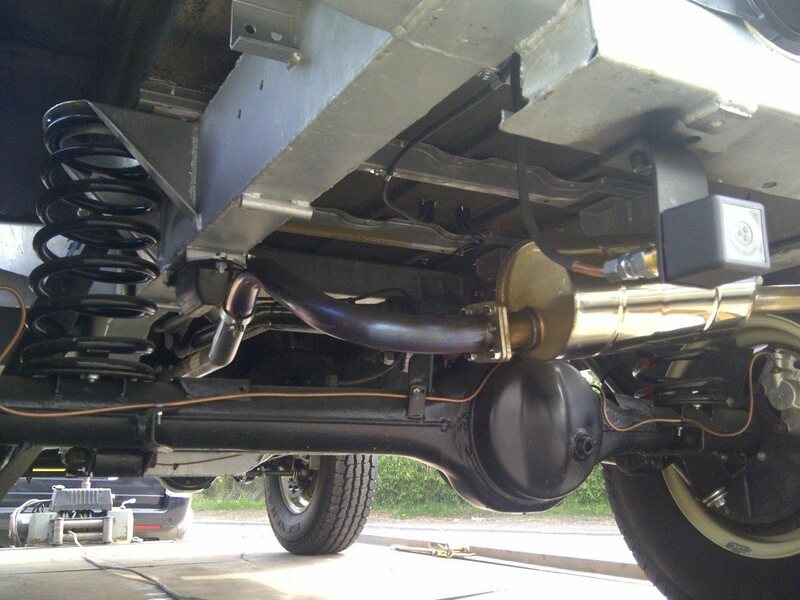 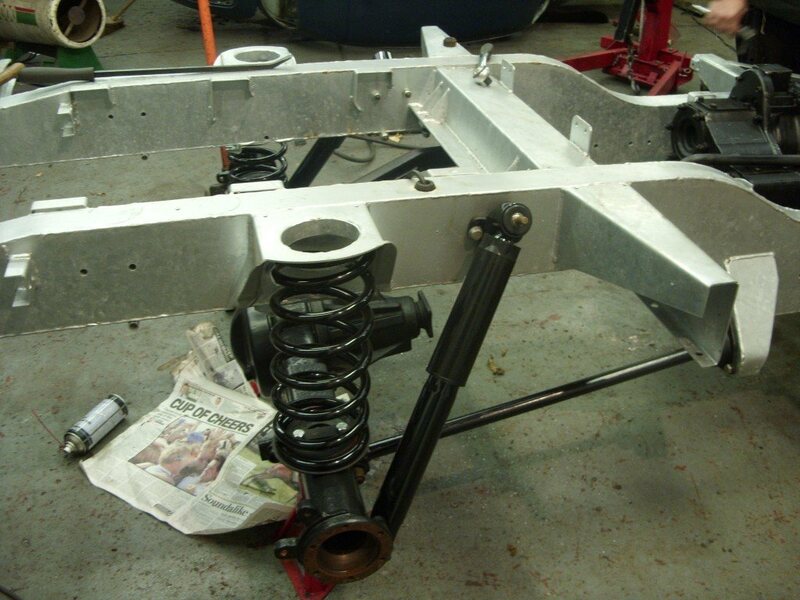 The key difference from standard specification is that this restoration used a brand new coil sprung chassis in order that Defender disc braked axles with coil springs instead of leaf could be used along with power steering. 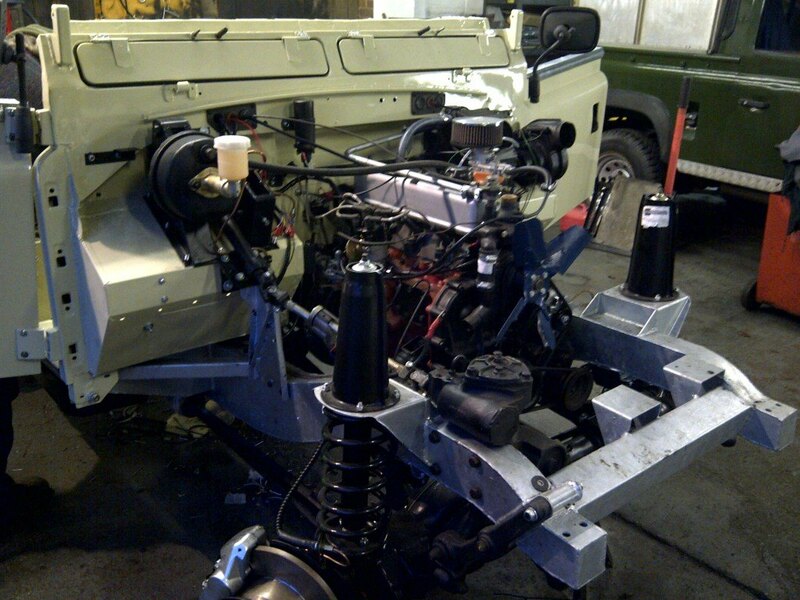 A new galvanised bulkhead was also fitted and all mechanical items were fully reconditioned. 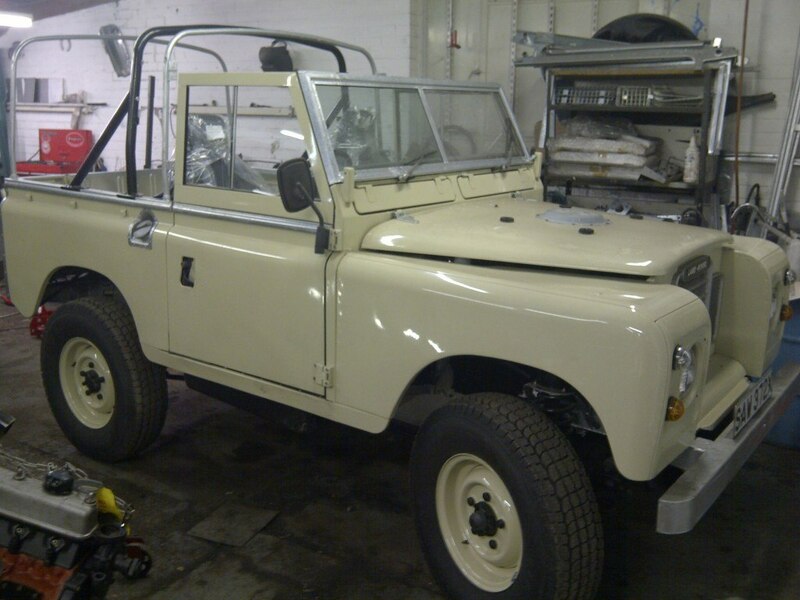 Bodywork was resprayed in original Limestone colour and interior was upgraded with new seating. 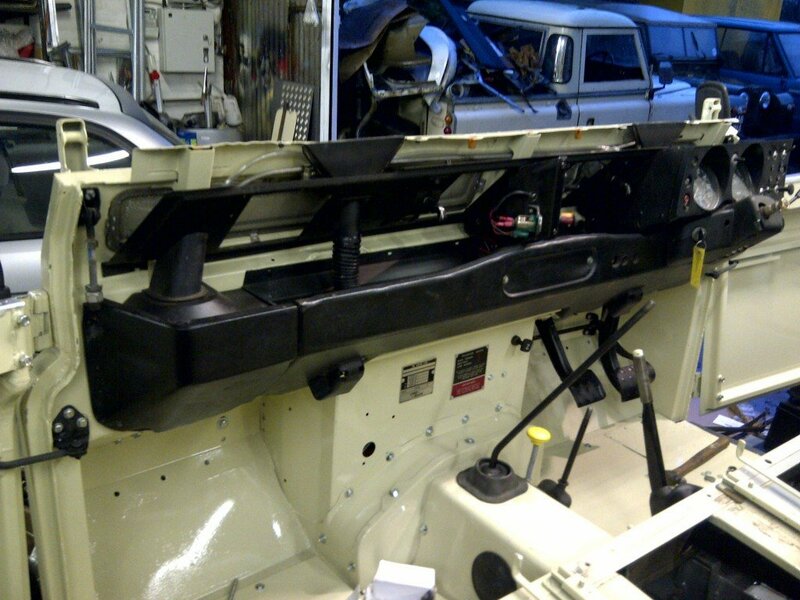 The roof was changed to a full soft top with the addition of a safety roll over bar for protection of occupants. 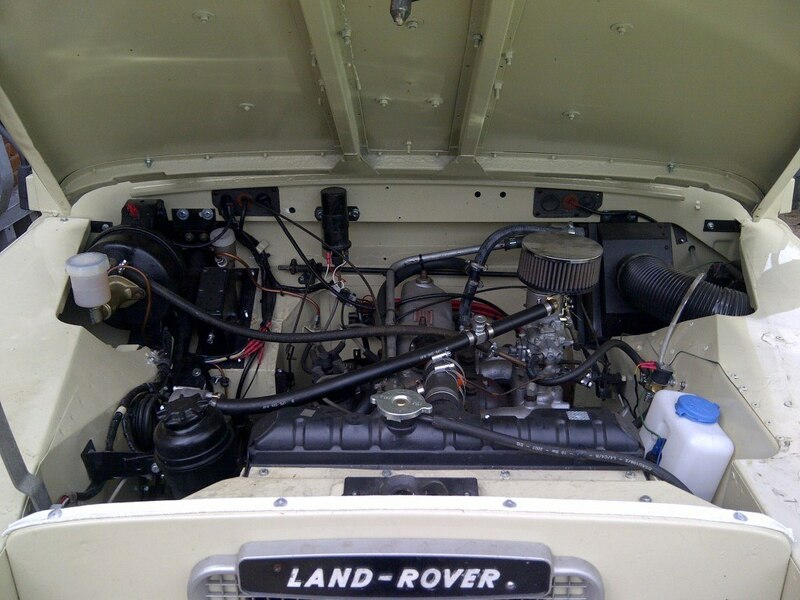 As it was going to be in daily use LPG was fitted to make it cheaper to run. 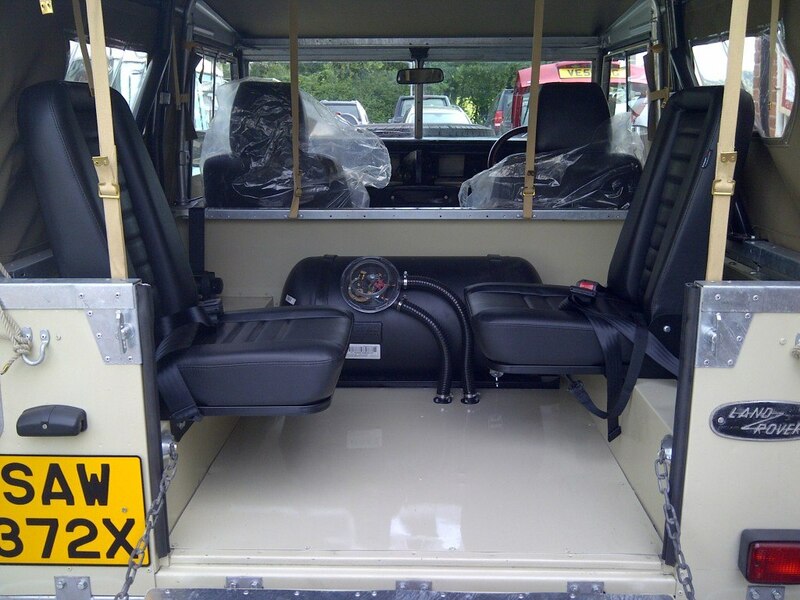 The end result is a superb looking Land Rover that rides and handles like a Defender 90.